It really isn’t hard to understand why Precor elliptical cross-trainers are so popular! 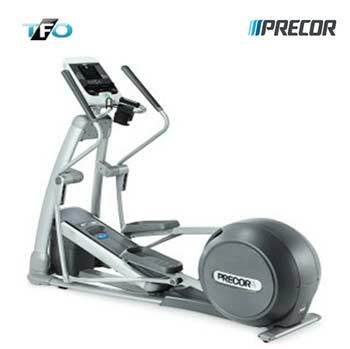 Once you exercise on the Precor 576i Experience Series Crosstrainer, you will immediately realize why. 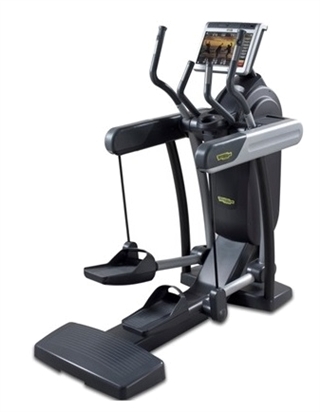 It is equipped with Precor’s patented adjustable CrossRamp that ranges from 13° to 40° in elevation and has an adjustable stride length ranging from 21.2″ to 24.7″. 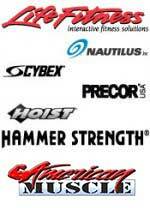 Adjustable stride lengths allow for users of different body types and sizes to all feel comfortable on the same machine. In other words, the Precor 576i accommodates users ranging from short to tall, and it’s stride mimics the natural running movements of its user. 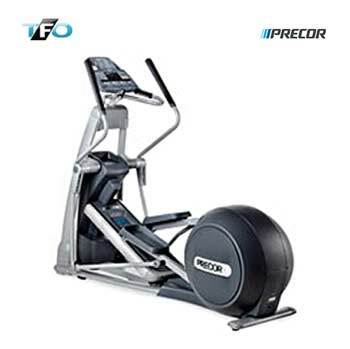 The Precor 576i Experience Series Crosstrainer is an awesome, gut-busting machine, that has innovative technology, designed to eliminate impact, through user-friendly ergonomics. Its rear drive momentum is propelled by a heavy duty, precision balanced flywheel. In order for a cross-training session to be smooth and feel natural, the flywheel creating the resistance, must be structurally sound and balanced with a great attention to detail. After all, the flywheel of a crosstrainer is like its engine, and ultimately, a crosstrainer with an award-winning flywheel, such as the 576i, will outlast its competition. All of these little perfections that you can’t see, hidden under the protective shroud, add up to create the smoothest and most durable cross-trainer available.